Ready to stretch out and unwind in the great outdoors? 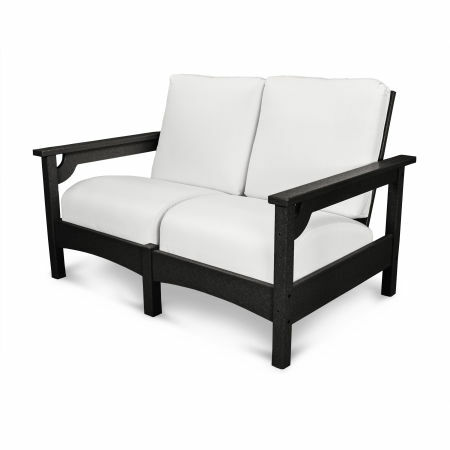 Invest in a cozy and cushioned POLYWOOD® deep seating chair or sofa that transports indoor comforts to the natural beauty of your backyard. Sometimes a standard outdoor chair won’t do. You know those moments - you’re taking a well-earned rest after weeding the entire yard or relaxing with a drink after a frenetic week at work. 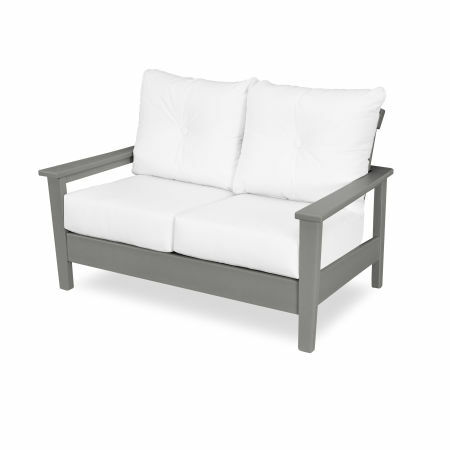 When you want to fully unwind in a cozy, cushioned seat POLYWOOD® outdoor deep seating furniture has you covered. Our selection of deep seating ottomans, chairs, sofas, and deep seating sets are luxuriously upholstered and built to last. 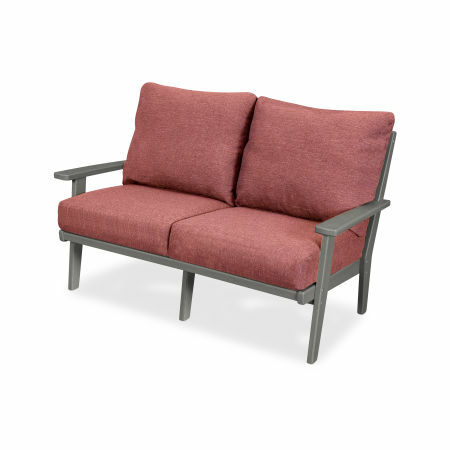 Designed for premium comfort, outdoor deep seating furniture allows you to ease back and relish every moment of your break (we won’t tell if you doze off for a few moments). 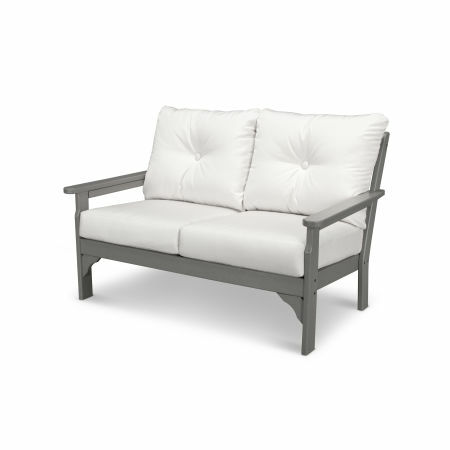 Don’t sacrifice the mood or the feel of your outdoor spaces to find the right deep seating look. 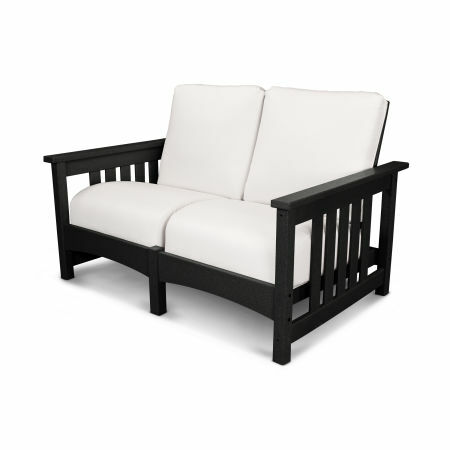 All of our deep seating furniture is available in a variety of design styles, as well as lumber and fabric colors to match or complement your existing aesthetic. Browse many collections to find the right style that extends organically from your home’s design. Order an ottoman or deep seating chair in any number of upholstery and lumber finishes from natural earth tones to bold, vivid hues. We construct outdoor deep seating for one singular purpose: to provide you with an unmatched level of comfort as you relax in the comfort of your own backyard. Choose a deep seating chair or set from any of our popular collections, including Harbour, Mission, Vineyard, Club, and Newport. 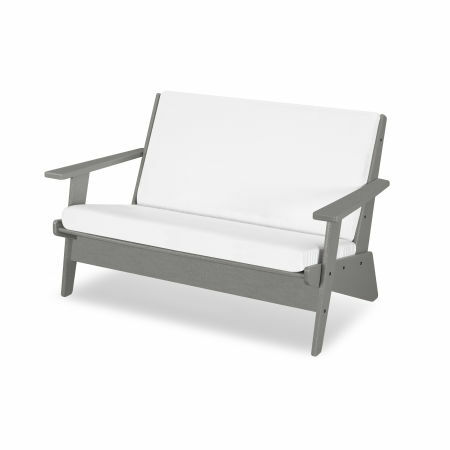 When you order POLYWOOD® outdoor deep seating you can be confident that relaxation comes without compromising on quality. From the chair frame to the support and upholstery, every aspect of POLYWOOD® furniture is built for durability. Thanks to our unique Color-Stay Technology the finishes and colors won’t stain or fade in the sun. Outdoor deep seating is also a breeze to clean and maintain. The weather-resistant lumber only requires an occasional wipe down with a damp cloth, warm water, and gentle soap to sparkle and shine. For an annual deep clean read our spring cleaning guide. 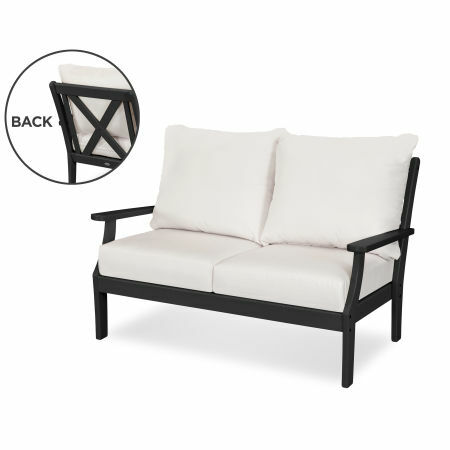 POLYWOOD® deep seating chairs will look new after years of use, making them the ideal choice for any outdoor space. When you finish your yard work well before the midday heat you can grab an iced coffee and a couple of pastries before passing the rest of the morning sunk back into your favorite deep seating chair. Put your feet up on the ottoman and embrace the possibility of a nap as you take in the quiet. On a beautiful summer day you can relax by the pool and watch the kids and their friends do cannonballs and shoot water guns. It’s perfectly fine if water splashes on the upholstery - the materials are resistant to weather and quick to dry. Cozying up next to your vegetable garden or near a sprawling collection of shrubs and wildflowers is an excellent way to commune with nature and de-stress. Torn between several different options and sizes for your deep seating purchase? You don’t have to tackle it alone. 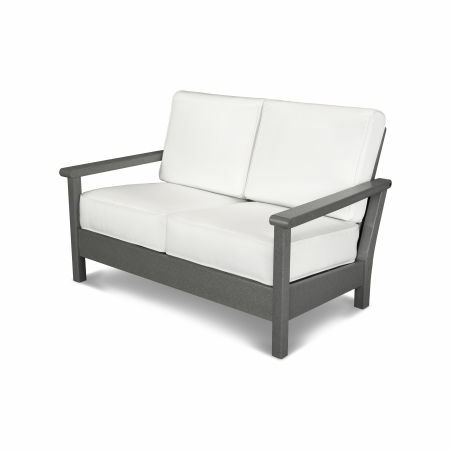 Check out our blog for our top 6 deep seating buying factors to make sure your club chair or lounge set completes the look of your patio or porch.